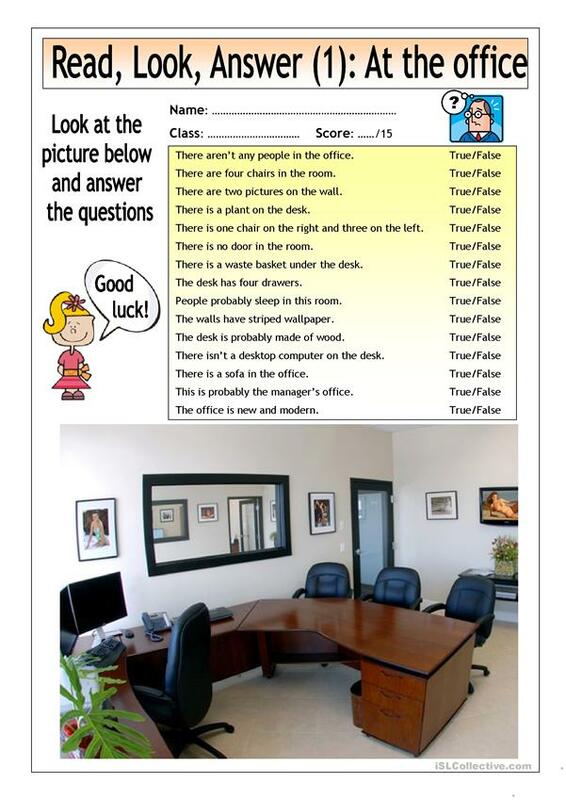 Picture-based reading comprehension test for elementary learners. Students look at the picture and answer 15 true/false questions. 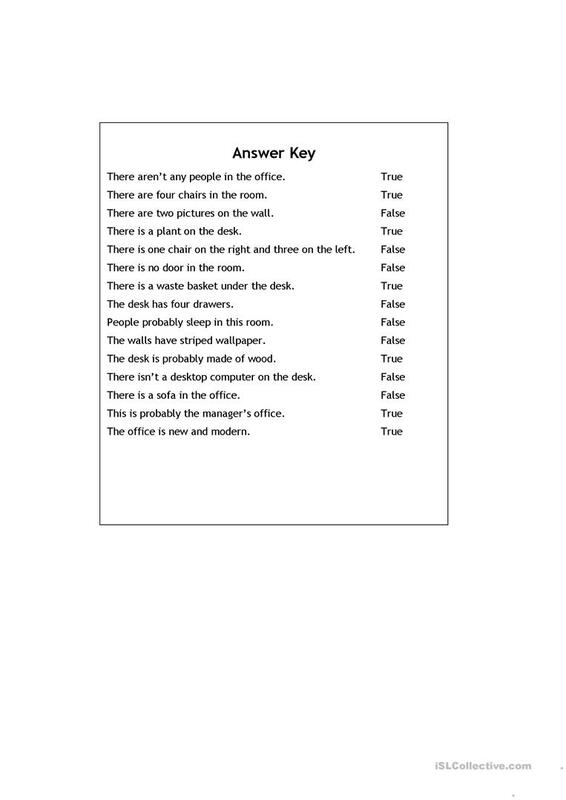 Useful for checking basic understanding and reading skills. This downloadable worksheet is a great resource for business/professional students, high school students, elementary school students and adults at Elementary (A1) and Pre-intermediate (A2) level. It is a valuable material for developing your students' Listening, Speaking, Reading and Writing skills. It focuses on the theme of Furniture. The solutions are provided, too.